We initiate coverage on Taliworks Corporation with a BUY call and a RM1.18 target price (TP), based on a 10% discount to RNAV/share of RM1.30. 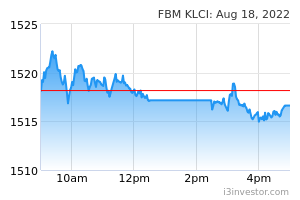 We believe the imminent resolution of issues with its Selangor water-supply contract provides a positive re-rating catalyst for the stock. The improved FCF will allow Taliworks to potentially increase its dividend payout to generate an attractive net yield of over 8% in 2019- 21E. Taliworks is also a potential beneficiary of planned water infrastructure projects to be implemented in Malaysia. We believe the long-standing issue with its Sungai Selangor Water Supply Scheme Phase 1 (SSP1) Operation and Maintenance Agreement (OMA) will be resolved by the 31 March 2019 deadline. Under the new OMA, we believe the improvement in FCF will allow Taliworks to increase its dividend payout. We estimate average FCF for SSP1 is RM136m or RM0.067/share p.a. over the next 10 years, which includes the partial repayment of receivables of RM732m outstanding as at end-2018. Taliworks holds effective stakes of 51% in Grand Saga Sdn Bhd (CherasKajang Highway concessionaire) and 32.5% in Grand Sepadu (NK) Sdn Bhd (New North Klang Straits Bypass Expressway concessionaire). Taliworks’ share of FCF for the 2 toll highways amounted to RM62m or RM0.03/share p.a. in 2016-18, which is expected to remain stable going forward as the concessions expire in 2045 and 2032, respectively. Taliworks is a specialist contractor with a strong track record in undertaking water-supply and distribution works. Its ongoing projects include the RM76m SSP7, RM73m Ganchong Water Treatment Plant and RM42m 76ML R.C. Reservoir R4, Cyberjaya. It has good prospects to expand its order book given the federal government has budgeted RM690m for water infrastructure projects in Budget 2019. We like Taliworks for its portfolio of mature infrastructure assets that generate recurrent earnings and cash flow. It has a dividend policy to pay out at least 75% of its normalised net profit. 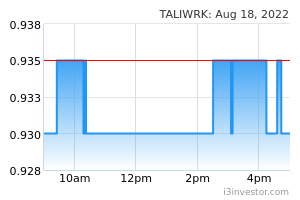 We initiate coverage on Taliworks with a BUY call. Key downside risk is delays in finalising the new OMA for SSP1 and renegotiation of its toll highway concessions.